There are a lot of things you need to do to start your personal trainer business correctly. We put together this handy checklist to make it easier for you. 1) Come up with an idea for your ideal business. Brainstorm ideas about how you will be better than the competition. 2) Perform the market research for your ideal business. Look at other personal trainers in the area and the services they are offering. Test your business idea to make sure people actually want the service you plan to provide. You can do this by asking everybody you know what they think. And remember, you need to really listen. Don't get down if somebody thinks your idea won't work. 3) Select the products and services that your personal trainer business will offer by using the feedback you get from talking to people. Separate your ideas into phase 1 and phase 2. You might want a 300 sq. ft. facility on day 1 but that is just not practical for most people. 4) Develop a business plan for your personal trainer business. If you have never done one before, use our business plan generator and save yourself a lot of time. 5) Devise an operation policy and system for the business. Create a manual that describes company procedures. This is critical if you have people working with you. But this will help you get organized even as a solo operated personal trainer business. You can also use web tools like our Complete Training System to get you started quickly. 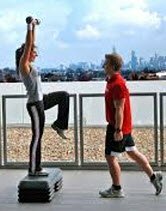 6) Set up the legal foundation for your personal trainer business. Will you be a sole proprietor, LLC or corporation. We discuss these topics in detail here. Also determine if you need a DBA (doing business as). Once you decide, it is really easy to get the legal stuff done by using a service like Legalzoom. 7) Establish your business location. We have lots of information on the various places you might choose to train including setting up a home gym, training outdoors, and training people at the gym. 8) Get a reliable phone for your personal trainer business. I recommend a mobile phone with a voice mail setup. Remember to check your messages and return calls promptly. 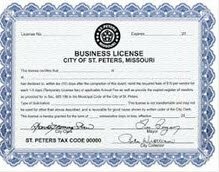 9) Get any business licenses and permits required by your state, county or city. This process will be different for each location but check out our guide here. 10) If you plan on selling physical products or maintaining inventory, then you will likely need a seller's permit and be required to charge sales tax. Products are not usually very profitable until you have a lot of clients, so keep it simple and skip this step until later. 11) Obtain protection for any service marks or trademarks. This is another one you can put off for a while unless you have a name and logo you really want to protect. Legalzoom can help with this also but plan on spending a few hundred dollars for the trouble. 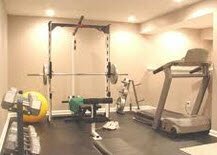 12) Setup the office space for your personal trainer business. This is the best way to provide organization for the business. It doesn't matter if your office is in your home, just dedicate some space for all the paperwork and files you will generate. It would also be wise to determine how you will organize clients and service them before opening your business doors. Purchase a cabinet to keep your files and make sure that each client has a designated file folder. 13) Setup a bank account for the business. A huge portion of owning a business is being able to keep your business and personal finances separate. A good way to accomplish this is to open a business account, which can be opened at most credit unions or traditional banks. You will have to do this after you form your business entity and DBA. 14) Purchase a few portable gym items. Get equipment such as medicine balls, adjustable free weights, stability balls and exercise mats. You will have the ability to service clients without lugging the whole gym with you. 15) Get liability insurance for your personal trainer business. You can get $2 million in liability insurance for about $175. Some certifications offer even better deals. Check out all the insurance discussions here. 16) Select and order your business cards. Get the best quality business cards that you can afford. There are plenty of templates available where you can create your own. However, remember that whatever is chosen will represent your personal trainer company. So, make sure that they are professional looking. Also, be certain that they can generate client leads and have an impressive call to action. 17) Become a member of a personal trainer trade organization. Joining will help you to remain current on what is going on in the personal training industry. This is also a good way to get discounts on personal training courses that will be needed to continue your education. Joining various organizations can also help multiply your options for finding liability insurance. But, most importantly, it will allow you to connect with other personal trainers. 18) Get a dependable car. Make sure that it is inspected, runs well and capable of keeping up with your business schedule. 19) Get a website for your personal trainer business. This is one of the best ways to advertise the business and obtain client contact info. There are templates that can be used to create a viable website for the business. You can also use resources that can help you to design your own website. Check out how easy it was for us to create this web site. 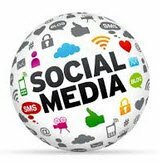 20) Get active on social media. Setup your business Facebook, Google+ and Twitter pages. Post meaningful content. 21) Ask your friends for referrals. Getting the first few clients can be tough. We have lots of tips for you here. If you find yourself getting stuck on a step, take a look at the Small Business Administration. The government actually has people that will help you along the way in case you get stuck.